Tonight, forty-four year old Honduran driver, a naturalized Belizean, was arraigned in the Belize City Magistrate’s Court and was slapped with three traffic offenses in relation to a fatal traffic accident on October fifth, 2015 in which eleven year old Tezzrah Diamond Thompson was killed. This morning, after two nights in custody, John Rodriguez was arraigned for Manslaughter by Negligence, Causing Death by Careless Conduct and Driving without Due Care and Attention. 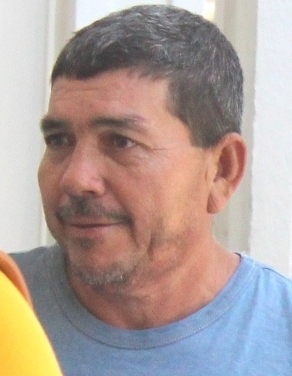 He appeared before Magistrate Ladonna John and while there was no objection to bail, he was required to surrender his passport which his relatives were able to furnish promptly. Rodriguez was able to meet bail of three thousand dollars and is due back in Court until January seventh, 2016. He was the driver of delivery truck that hit and killed the nine year old student from Mahogany Heights who was returning home from Saint Mathews. The student suffered extensive injuries internally and her lungs collapsed. She died on Tuesday morning at the K.H.M.H. I NEVER SAW THAT DRIVER WITH A LEARNER, OR A RED L FOR LEARNER. ALL… ALL OF A SUDDEN WE SEE THEM DRIVING ALL QUITE HAPPILY AND MERRILY KILLING THE INNOCENT PEOPLE !!!! I WONDER HOW THEY GET? BUY? THEIR DRIVING LICENSE?